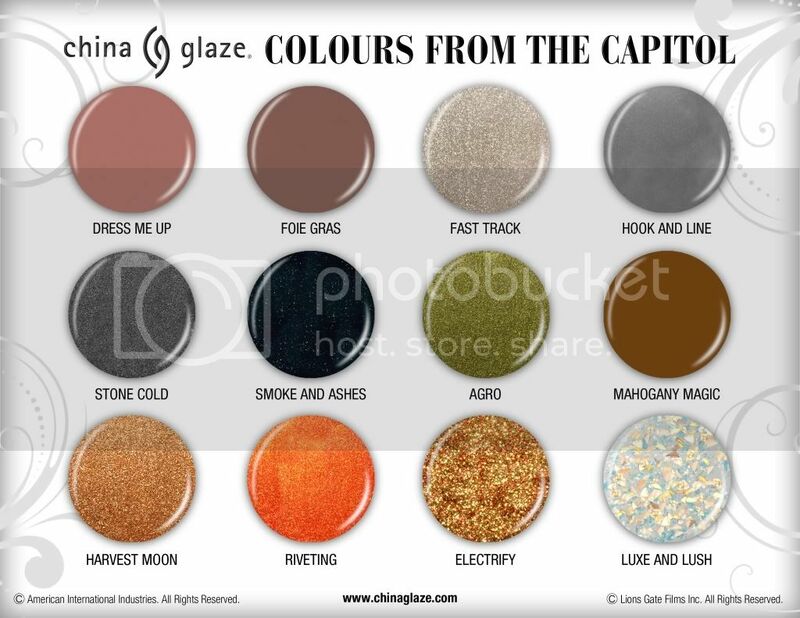 We posted a couple days ago that Lionsgate had officially announced a nail polish line called “Colours from the Capitol” in partnership with China Glaze to tie-in with The Hunger Games movie release. Now we have a look at the 12 official color samples for the line. What do you think!? In keeping with the powerful themes and messages of the story, the collection of nail polish will be inspired exclusively by one of the book’s distinct settings- the Capitol of the nation of Panem. Awash in lavish fashion, food, and entertainment, Capitol citizens enjoy extreme cosmetics and body modifications, bold wigs, and outlandish costumes. The nail polish will be available at specialty beauty retailers beginning on March 1, 2012.